SOMEWHERE new? Summer camps throughout the US and Canada are hiring summer nurses. Here are 3 reasons you should give camp nursing a try! 1. Travel – When we said everywhere, we mean everywhere. Camps from the New England coastline to the California beaches are hiring nurses. Contracts can vary from one week to 12 weeks depending on the camps schedule. If you’ve ever though of spending a summer hiking and boating in the mountains, here’s your chance. If you wondered what a major city is really like, camps are located within easy drink distance of every major US city. With free room and board and very good salaries, camps are the perfect bases for exploring a region you may be considering relocating to. The bonus perk is that because summer camps attract staff from around the world, you will certainly make friends worth visiting around the globe! 2. Bring your family with you – You can read more about picking a camp and bringing your family with you in our other blog posts. For nurses, this is an almost given – work at summer camp and you kids attend FREE. You kids will be placed in a cabin group at sleep away camp or day camp just like the full paying campers. Your kids will have all the benefits of summer camp life. You get the special privilege of being able to see them run happily by with their new friends, while you spend a summer in the best nursing job you’ve ever had. 3. Free in-state licensing. Your new camp will pay for and will help you with the process of getting the appropriate licensing. So don’t limit your nursing search to states you are current in, pick a new one. They do this every year and will know the best way to make it happen. You can focus on packing up for the summer of you life! 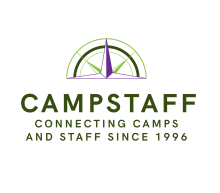 CampStaffNurses has current nursing needs for some the best summer camps. Register for free and let camps come to you. Follow our social media feeds @campstaffnurses for daily updates.